Summertime seaside cuisine. One taste of these soft and flaky crab cakes and you’ll be transported to a sunny coastal paradise. (In your mind, at least.) Just a few ingredients help to highlight the unmatched flavor of decadent crab meat. Mix ailoi sauce in a small bowl: cover and refrigerate until ready to use. Combine remaining ingredients in medium bowl. Cover; refrigerate at least 30 minutes. Form crab mixture into four patties. Preheat Contact Roaster. Place crab cakes directly on contact surface of roaster. Cook 10 minutes, turning halfway through cooking until golden brown. 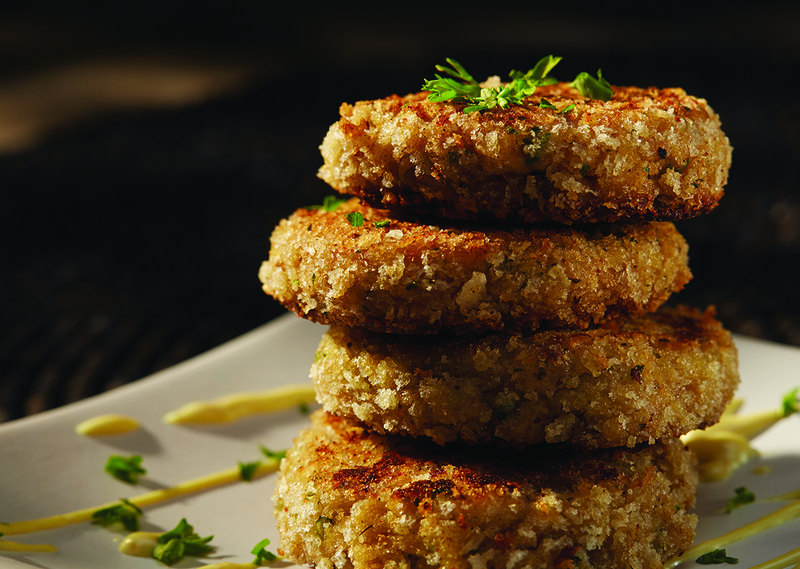 Remove crab cakes from roaster and serve with aioli sauce.